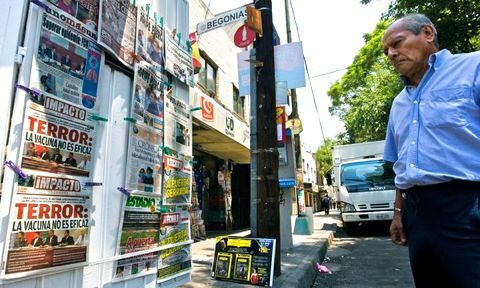 Continued from the previous issue　｜LA GLORIA, Mexico — Ochoa added, "what happened in La Gloria was an unfortunate coincidence with a big and serious problem that is happening now with this new flu virus." 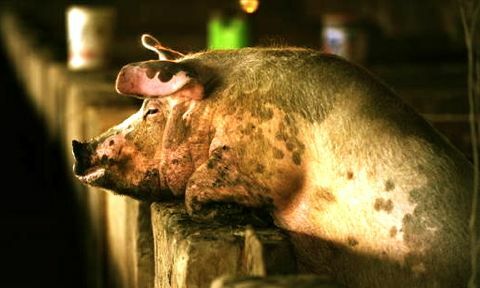 Mexican Agriculture Department inspectors found no sign of swine flu among pigs around the farm in Veracruz. 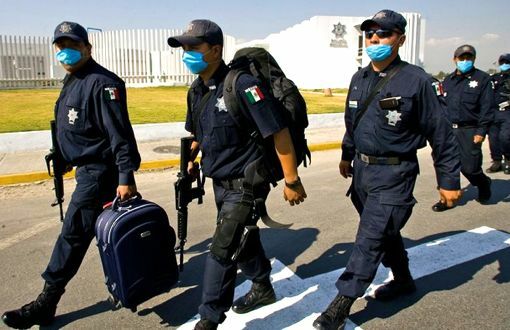 They said that no infected pigs have been found yet anywhere in Mexico. 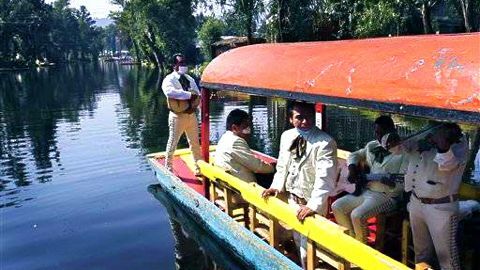 Meanwhile, Martinez and Bertha Crisostomo, a liaison between the villagers and the municipal government of Perote to which La Gloria belongs, say half of the people from the town live and work in Mexico City most of the week. 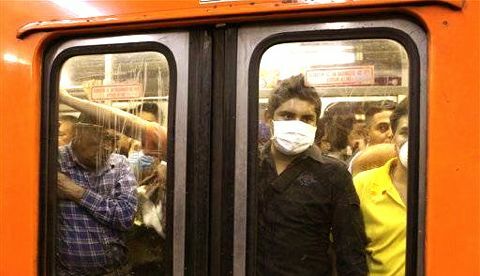 They commute daily so that they could easily have spread the swine flu in the capital, where most of the swine flu cases have been confirmed. Edgar, however, has never left the Perote valley. The family doesn't own pigs or work near them. 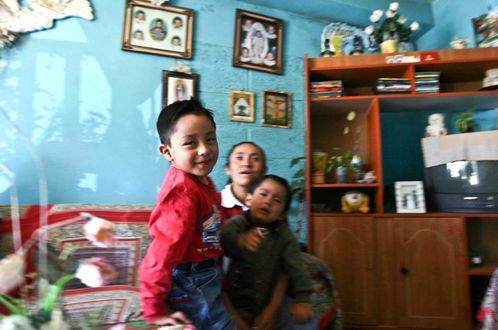 Edgar's father, a bricklayer also named Edgar, only works in the area — not Mexico City. Residents here are certain Edgar was not the only swine flu victim in their town. Juan Rodriguez died of pneumonia Feb. 9 at age 7 months. His grandmother, Josefina Mendoza, 71, said doctors have come to interview the infant's parents. Irene Bonilla, 23, said her 2-month-old boy, Yovanni Apolinar, died March 12. No one has interviewed her but reporters. 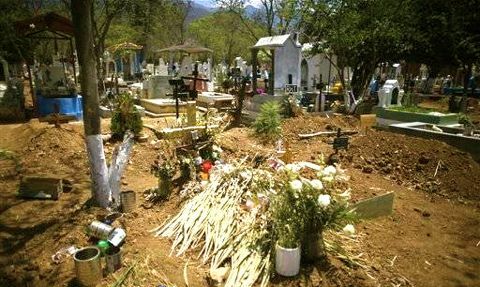 Neither family wants the children's bodies exhumed for testing. "Why?" 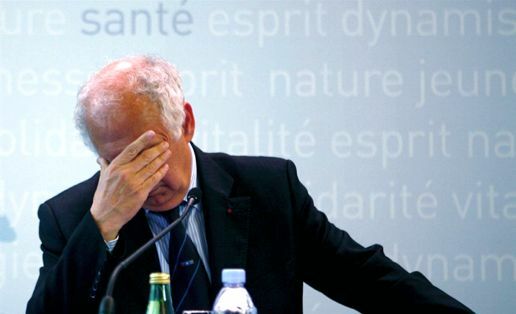 Mendoza said. "It's been months since he died. The child has made his peace with God. He's with the Virgin now." Continued from the previous issue　｜LA GLORIA, Mexico — Granjas Carroll de Mexico, half-owned by Virginia-based Smithfield Foods, Inc., has 72 farms in the surrounding area. 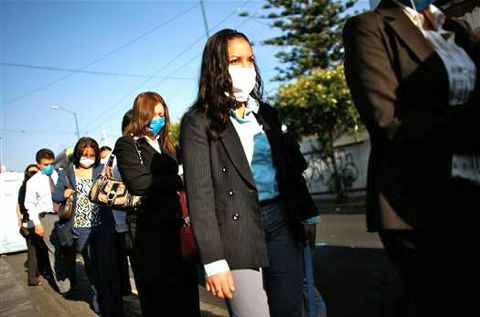 Smithfield spokeswoman Keira Ullrich said company has found no clinical signs or symptoms of the presence of swine influenza in its herd or its employees working at its joint ventures anywhere in Mexico. 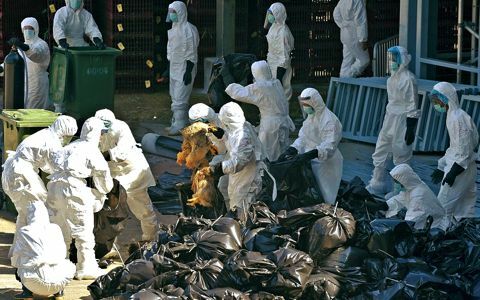 Animal health expert Peter Roeder, a consultant to the UN's Food and Agriculture Organization, said many possibilities exist for how the virus first jumped to humans, and that it could have happened months or even a year ago. 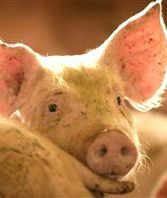 Roeder said it's possible someone tending the pigs could have passed a human influenza virus to a pig already infected with another type of swine flu. And then that pig could have also come into contact with a bird virus. 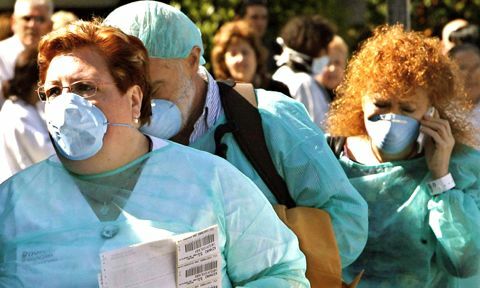 Then, the new H1N1 virus formed could have been transmitted back to the workers. 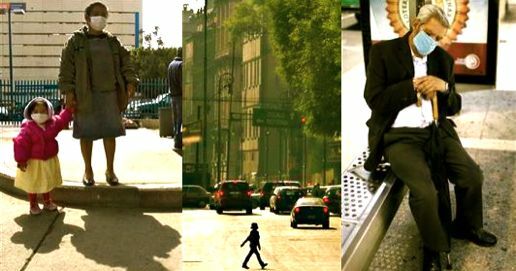 But that's just a theory — and no one has any evidence that it happened in La Gloria. "It's all surmise," Roeder said by phone from the Philippines. "The only thing that we know is that we have a virus that is transmitting between people and it is causing some concern." But residents say they have been bothered for years by the fetid smell of the farms. 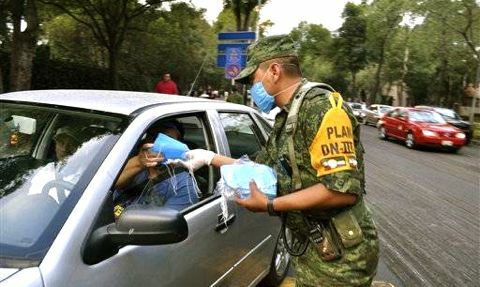 Local health workers intervened in early April, sealing off the town of La Gloria and spraying to kill flies people said were swarming around their homes. 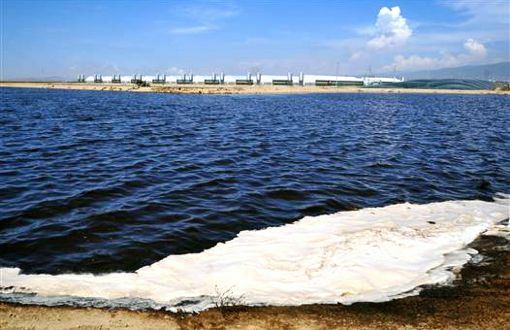 When Associated Press journalists on Monday entered a Granjas Carroll farm that has been the focus of community complaints, the cars were sprayed with water. 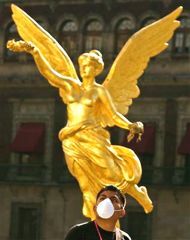 Victor Ochoa, the general director, required the visitors to shower and don white overalls, rubber boots, goggles and masks. Then we stepped through disinfectant before entering any of the 18 warehouses where 15,000 pigs are kept. Ochoa showed the journalists a black plastic lid that covered a swimming pool-size cement container of pig feces to prevent exposure to the outside air. 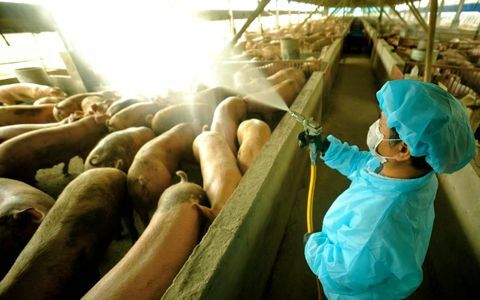 "All of our pigs have been adequately vaccinated and they are all taken care of according to current sanitation rules," Ochoa said. 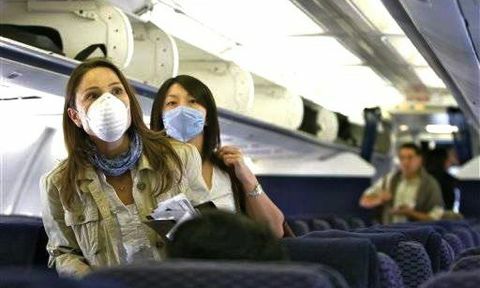 NARITA, Japan — Thirty-seven passengers and two flight attendants on an American Airlines flight were detained in Japan over concerns about swine flu, the airline said Monday. 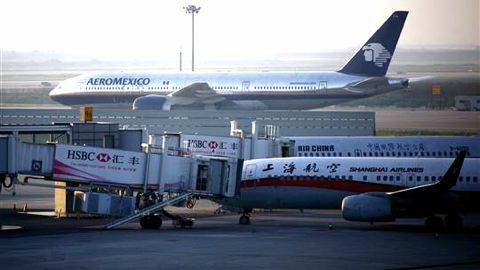 The passengers and flight attendants from Flight 169, from Los Angeles, were taken to a quarantine facility near Narita Airport, the airline said. 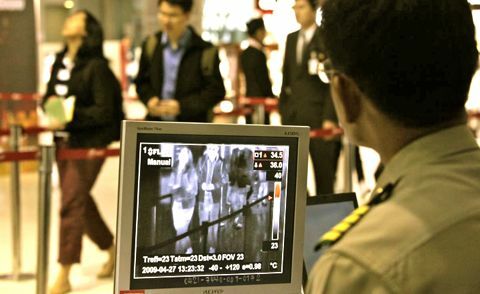 It had not been determined whether any of the detained passengers had H1N1 Influenza A, or swine flu. 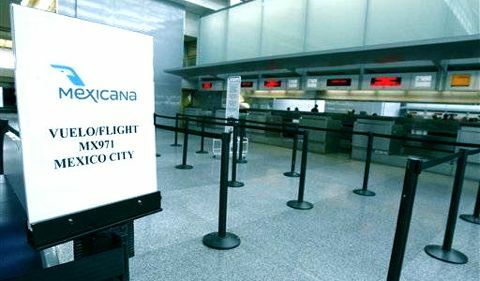 American Airlines told NBC News that a Japanese woman who was returning from a vacation in Las Vegas fell ill, prompting concerns from Japanese health officials. 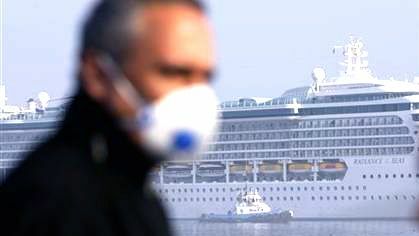 The woman was tested for flu and was awaiting the results at a Tokyo hospital, the airline said. Two flight attendants and 37 passengers were taken to a Tokyo hotel and were being observed for possible contamination, the airline said. 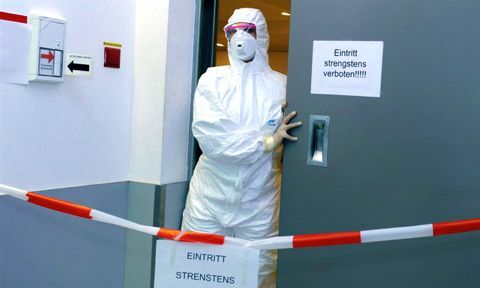 After all, all the members quarantined were released overnight after the tests revealed that an ill passenger was not contaminated with the new H1N1 influenza A strain, or swine flu. 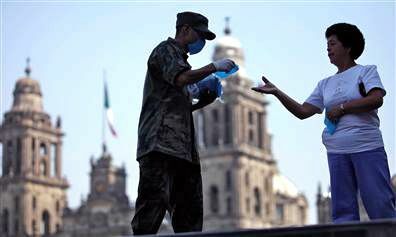 There was no indication that the woman had recently been to Mexico, where the outbreak began. More than 1,000 people have been sickened by the new strain of flu in about 20 countries. 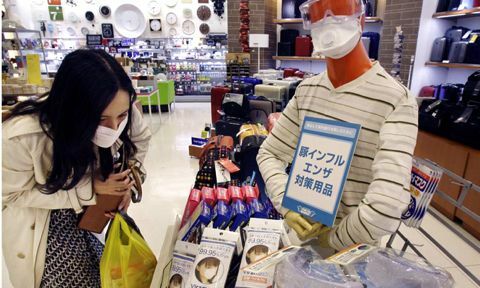 While several patients have tested positive for a different strain of the influenza A virus, Japan has yet to confirm any cases of swine flu. 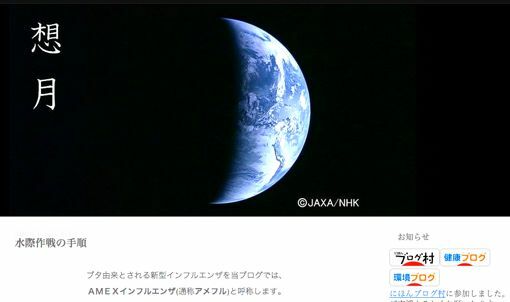 However, Japanese health officials are on the alert, because Japan is in one of its busiest travel periods of the year as the country celebrates the "Golden Week" of public holidays. 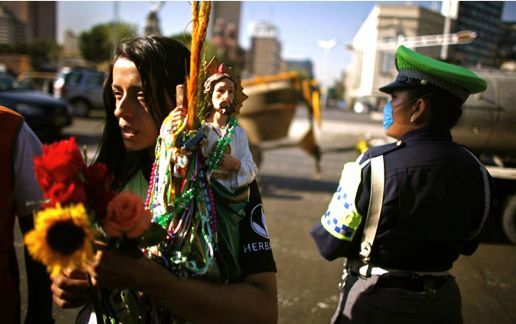 LA GLORIA, Mexico — Everyone told Maria del Carmen Hernandez that her kindergartner's illness was just a regular cold. But it seemed like the whole town of 3,000 was getting sick. As early as February, neighbors all around her were coming down with unusually strong flu symptoms — and the caseload kept growing. When state health workers came to investigate March 23, some 1,300 people sought their medical help. 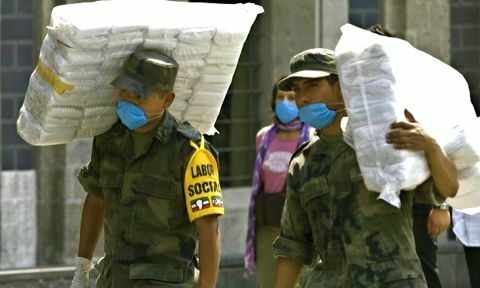 About 450 were diagnosed with acute respiratory infections and sent home with antibiotics and surgical masks. Five-year-old Edgar Hernandez was still healthy then. 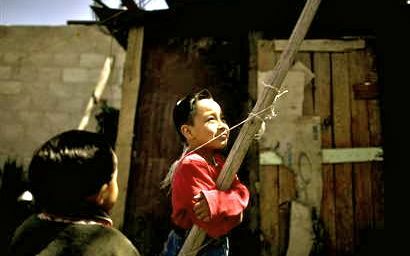 Hernandez wanted to keep him home from school so he wouldn't get sick. But her husband said, "We can't be afraid of what might or might not happen." But her husband said, "We can't be afraid of what might or might not happen." Then he came home with a fever and a headache so bad his eyes hurt. She took him to a clinic, and after a few days of antibiotics, he, too, recovered. 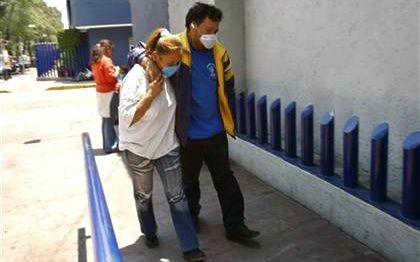 No one told Hernandez that her son had become Mexico's earliest confirmed case of swine flu until the Veracruz governor helicoptered in on Monday. 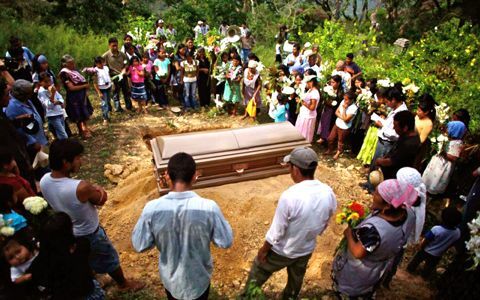 But Edgar's case confirmed for residents what they already believed: Their hillside town is ground zero in the epidemic. 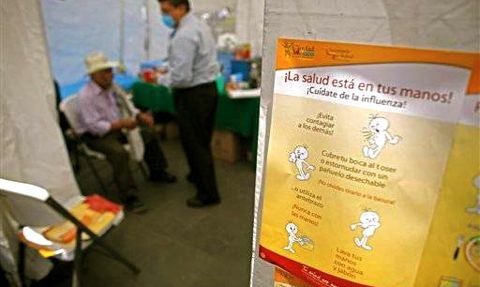 Local health officials and Federal Health Secretary Jose Angel Cordova downplay claims that the swine flu epidemic could have started in La Gloria, noting that of 35 mucous samples taken from respiratory patients there. Only Edgar's came back positive. 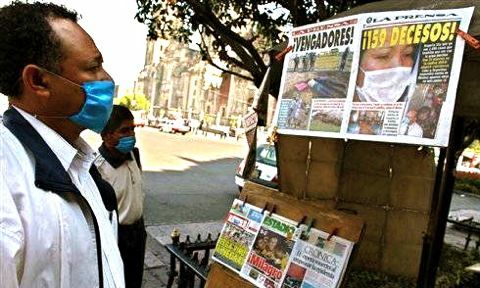 Confirmation that the boy was infected with H1N1 — a strange new mix of pig, bird and human flu virus that has killed as many as 152 people in Mexico and now spread across the world — wasn't made until last week, when signs of the outbreak elsewhere prompted a second look at his sample. "If the people who are supposed to be familiar with this didn't know what it was, how will we ever know how my son got it?" Hernandez said Tuesday. Hernandez said doctors came from Jalapa, the state capital, and Veracruz city to see Edgar in the weeks after he was tested. But they said nothing, "they just wanted to see him." 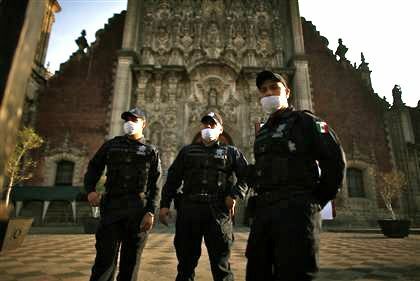 A team came again last weekend, after federal officials confirmed the swine flu cases late Thursday and started closing schools and canceling events in Mexico City. Again, they left without saying anything, she said. Cordova insists the rest of the community had suffered from H2N3, a common flu, based on other 34 samples. 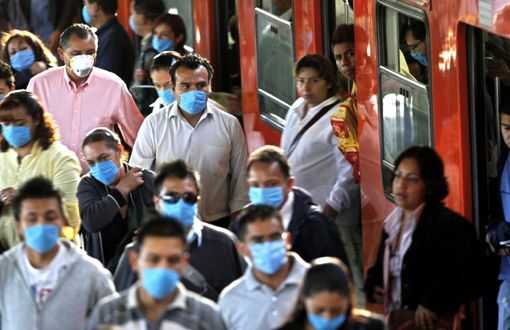 While Mexican authorities haven't determined how or where the swine flu outbreak began, Gov. 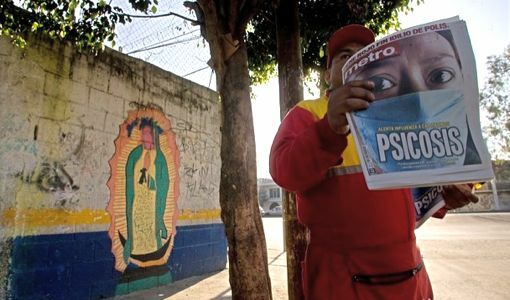 Fidel Herrera said Tuesday that "there is not a single indicator" suggesting it started in La Gloria. "When we saw it on the television, we said to ourselves, 'This is what we had,'" he said Monday. "It all came from here. ... The symptoms they are suffering are the same that we had here." 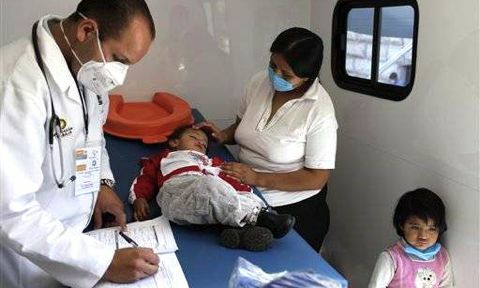 Two infants died of pneumonia during the La Gloria outbreak. They were buried without testing. 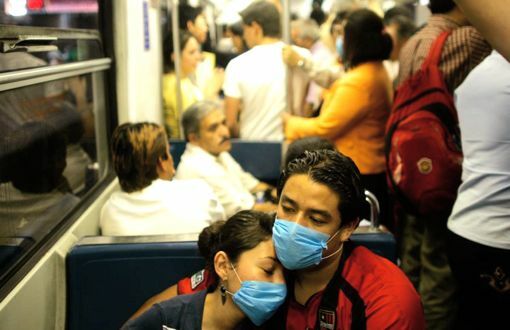 But the new flu strain is a combination of pig, bird and human viruses that humans may have no natural immunity to. The Food and Drug Administration late Monday issued emergency guidance that allows certain antiviral drugs to be used in a broader range of the population in case mass dosing is needed to deal with an outbreak. 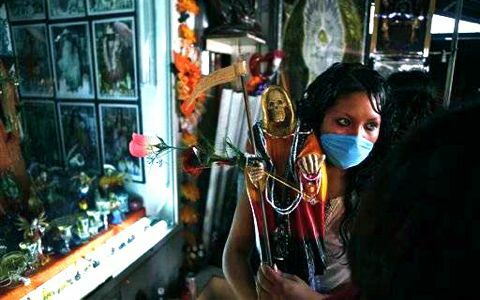 メキシコ南部の小さなラグロリア村の大きな秘密　｜患者ゼロ号、エドガー・ヘルナンデス君の村を訪ねて……In the tiny town of La Gloria, Mexico, little Edgar Hernandez is now all smiles, but about a month ago, he had what is believed to be the earliest known infection of swine flu. 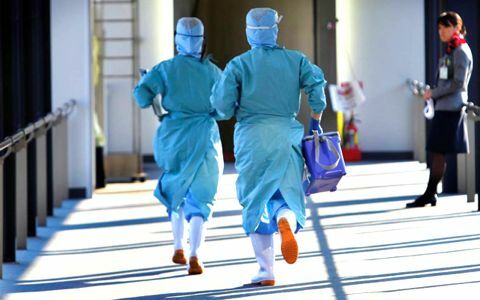 In the U.S., federal health officials said Tuesday that the number of confirmed cases rose to 68 and at least four more new reports of hospitalizations among affected. 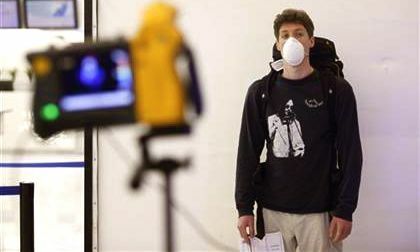 U.S. officials are watching for a potential flu pandemic. The Los Angeles County coroner's office told the Los Angeles Times the recent deaths of two men were being examined for links to swine flu. 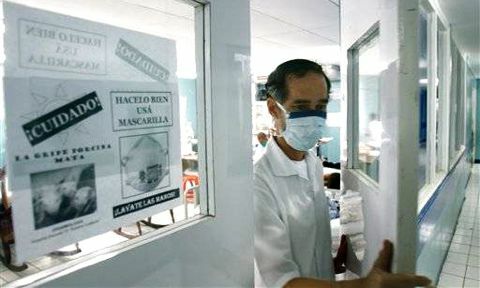 Cuba suspended flights to and from Mexico on Tuesday, becoming the first country to impose a travel ban, as the fast-moving swine flu strain extended its reach overseas and in the United States. 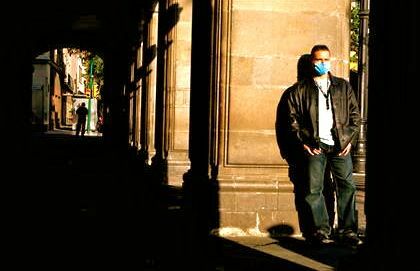 New Zealand reported that 11 people who recently returned from Mexico contracted the virus. 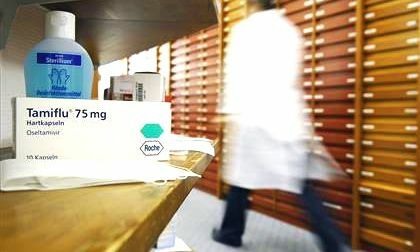 Tests conducted at a WHO laboratory in Australia confirmed three cases of swine flu among 11 members of the group who were showing symptoms, New Zealand Health Minister Tony Ryall said. 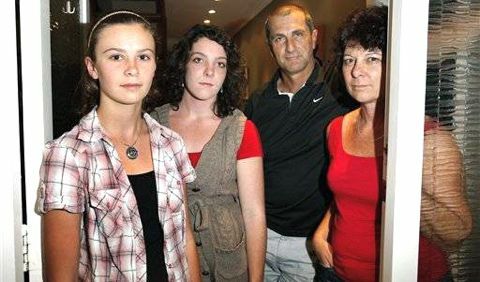 New Zealand officials decided that was evidence enough to assume the whole group was infected, he said. 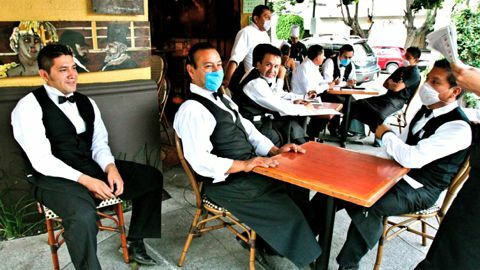 Israel's Health Ministry confirmed two swine flu cases in men who recently returned from Mexico. One has recovered and the other was not believed to be in serious danger, health officials said. 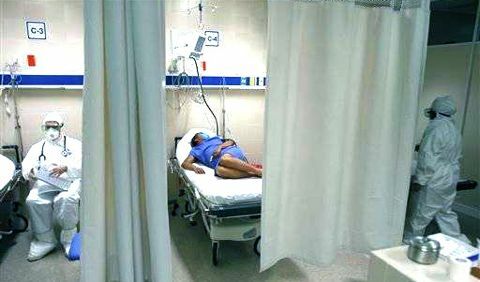 Meanwhile, a second case was confirmed Tuesday in Spain, Health Minister Trinidad Jimenez said, a day after the country reported its first case. The 23-year-old student, one of 26 patients under observation, was not in serious condition, Jimenez said. 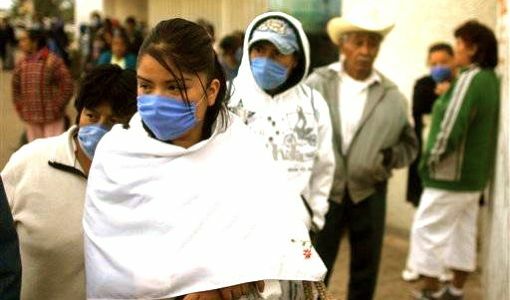 World health officials in Geneva said they believed the virus appears to be establishing itself in communities and be able to produce larger outbreaks outside Mexico. 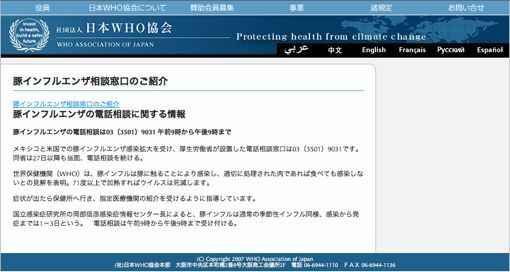 "It's a very serious possibility, but it is still too early to say that this is inevitable," the World Health Organization's flu chief, Dr. Keiji Fukuda, told a telephone news conference. 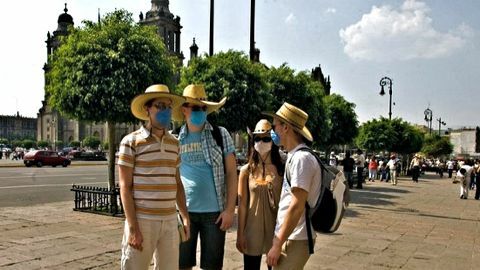 With the virus spreading, the U.S. stepped up checks of people entering the country and warned Americans to avoid nonessential travel to Mexico. 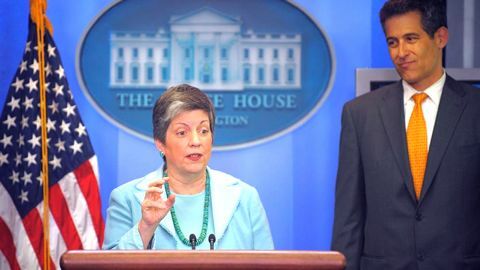 "We anticipate that there will be confirmed cases in more states as we go through the coming days," Homeland Security Secretary Janet Napolitano said on NBC's "Today" show on Tuesday. 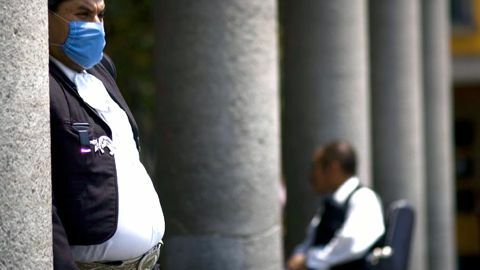 The global health body insisted that travel restrictions were ineffective, but Cuba's 48-hour suspension came as the EU's disease control agency as well as Canada, Israel and France warned against nonessential travel to Mexico. 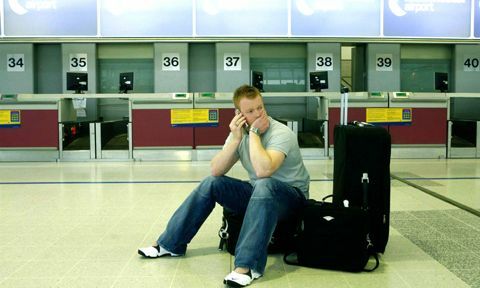 But "border controls do not work, travel restrictions do not work," WHO spokesman Gregory Hartl said. 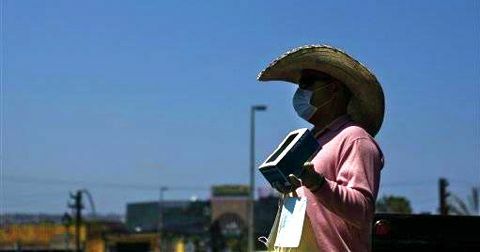 He recalled the 2003 SARS epidemic that killed 774 people, mostly in Asia, and slowed the global economy. 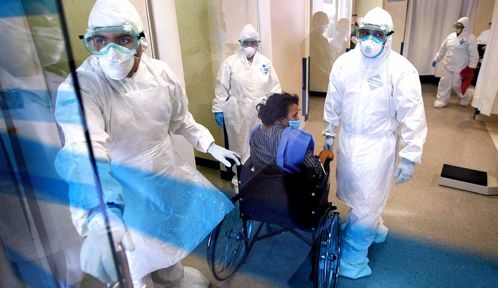 "There was much more economic disruption caused by these measures than there was public health benefit," he said, adding that WHO is advising countries to provide treatment for the sick and make sure national plans are in place to ease the effects of a larger outbreak. Flu deaths are nothing new in the United States or elsewhere. 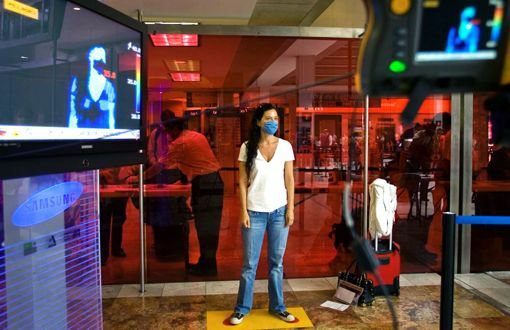 The Atlanta-based Centers for Disease Control and Prevention estimates that about 36,000 people died of flu-related causes each year, on average, during the 1990s in the United States. The U.S. declared the health emergency so it could ship roughly 12 million doses of flu-fighting medications from a federal stockpile to states in case they eventually need them — although, with 20 confirmed cases in 5 states recovering easily, they don’t appear to for now. Eight students from St. Francis Preparatory High School in New York are among those who fell ill in five states, including New York, Ohio, California, Texas and Kansas. Patients have ranged in age from 7 to 54. Dr. Richard Besser, acting chief of the CDC, said he still can't say why cases in U.S. are so much milder than the deadly cases in Mexico. 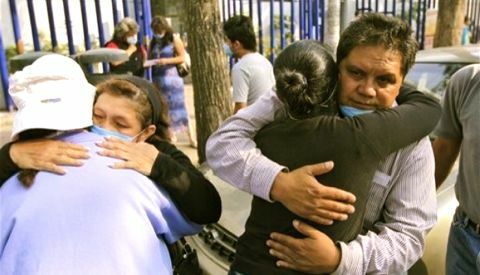 Since April 13 in Mexico, the disease has killed up to 86 people and likely sickened nearly 1,400. 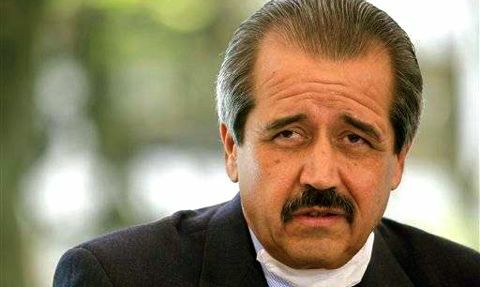 The World Bank said it would send Mexico $25 million in loans for immediate aid and $180 million in long-term assistance to address the outbreak, along with advice on how other nations have dealt with similar crises. A potential pandemic virus is defined, among other things, as a novel strain that's not easily treated. This new strain can be treated with Tamiflu and Relenza, but not two older flu drugs. Also, the WHO wants to know if it's easily spread from one person to a second who then spreads it again — something U.S. officials suspect and are investigating. 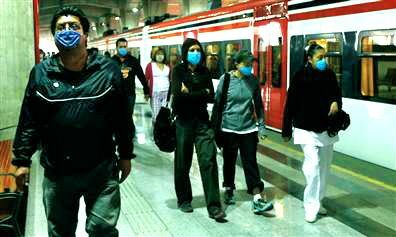 Countries across Asia promised to quarantine feverish travelers returning from flu-affected areas. 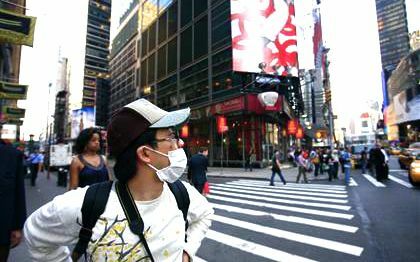 "Right now we have cases occurring in a couple of different countries and in multiple locations, but we also know that in the modern world that cases can simply move around from single locations and not really become established," cautioned WHO flu chief Dr. Keiji Fukuda. 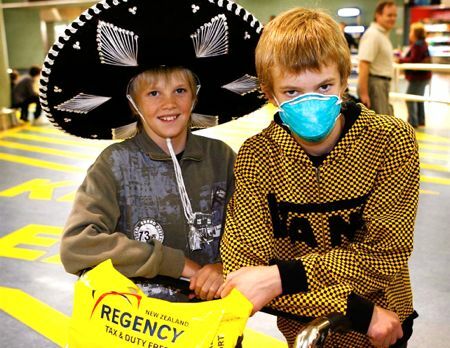 New Zealand said 13 students who took a school trip to Mexico “likely” had swine flu. 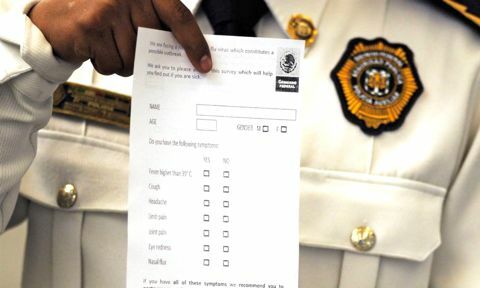 Spanish authorities had seven suspected cases under observation. 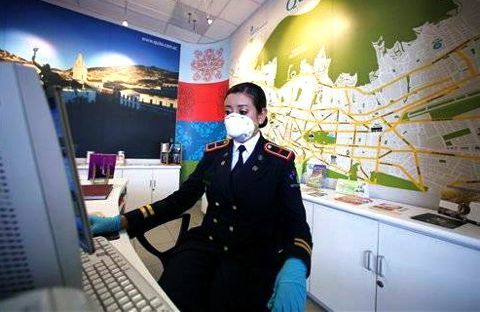 China, Russia and Taiwan began planning to quarantine travelers arriving from flu-affected areas if they have symptoms. 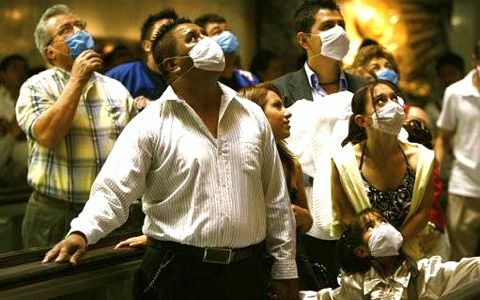 Italy, Poland and Venezuela advised citizens to postpone travel to affected parts of Mexico and the U.S.
MEXICO CITY — A new swine flu strain that has killed as many as 68 people and sickened more than 1,000 across Mexico has “pandemic potential,” the World Health Organization chief said Saturday, and it may be too late to contain the sudden outbreak. 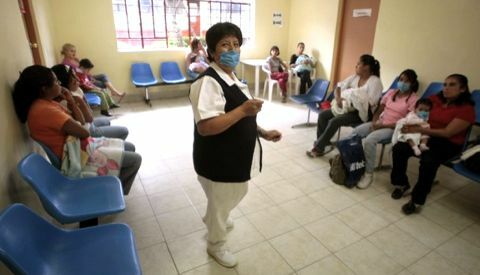 The disease has already reached Texas and California, and with 24 new suspected cases reported Saturday in Mexico City alone, though there have been no deaths north of the border, puzzling experts at the U.S. Centers for Disease Control and Prevention. CDC noted there had been no direct contact between the cases in the San Diego and San Antonio areas. Schools were closed and all public events suspended in the capital until further notice — including more than 500 concerts and other gatherings in the metropolis of 20 million. 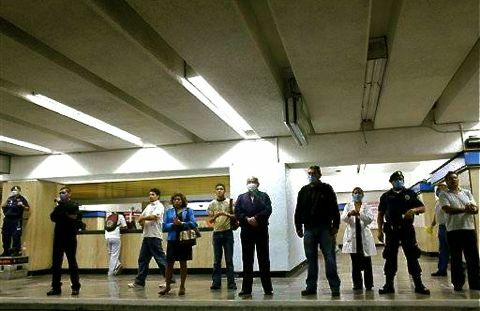 Soldiers and health workers handed out masks at subway stops, and hospitals dealt with crowds of people seeking help. 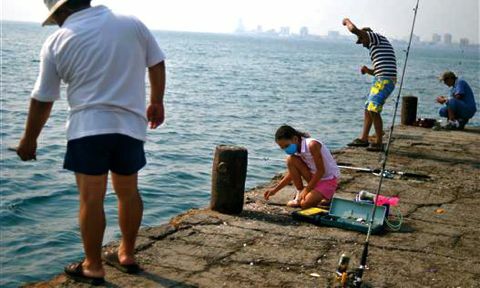 But she said it is still too early to tell if it would become a pandemic. 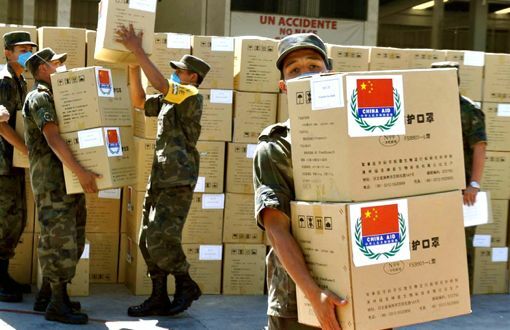 "The situation is evolving quickly," Chan said in a telephone news conference in Geneva. 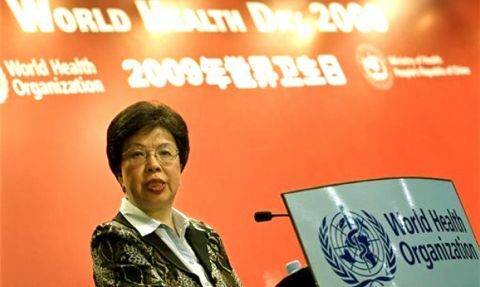 "A new disease is by definition poorly understood," Chan cautioned. Spokesman Gregory Hartl said a decision would not be made Saturday. 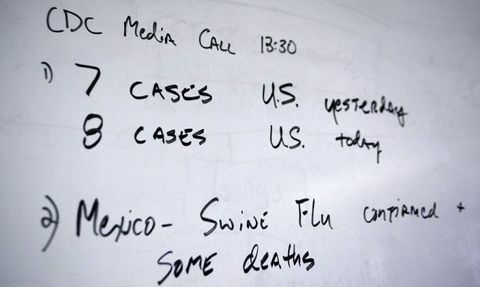 This virus is a mix of human, pig and bird strains that prompted WHO to meet Saturday to consider declaring an international public health emergency — a step that could lead to travel advisories, trade restrictions and border closures. 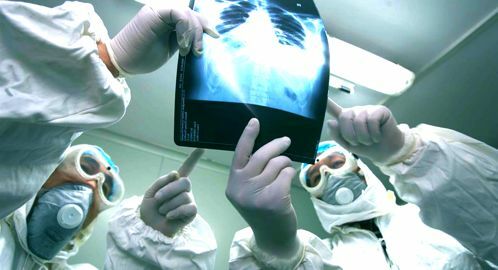 Scientists have warned for years about the potential for a pandemic from viruses that mix genetic material from humans and animals. The CDC report suggests the virus had already spread from one geographic area through other undiagnosed people. Another reason to worry is that authorities said the dead so far don't include vulnerable infants and elderly. 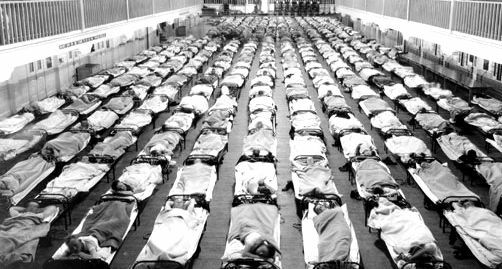 The Spanish flu pandemic, which killed at least 40 million people worldwide in 1918-19, also first struck otherwise healthy young adults. 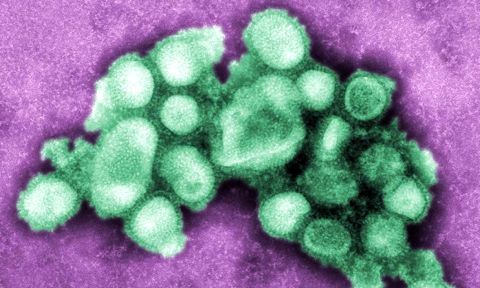 This swine flu and regular flu can have similar symptoms — mostly fever, cough and sore throat, though some of the U.S. victims who recovered also experienced vomiting and diarrhea. 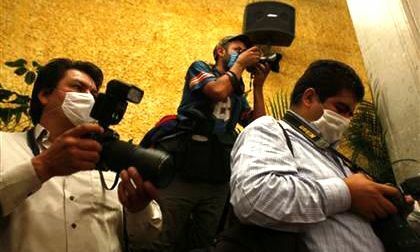 The CDC and Canadian health officials were studying samples sent from Mexico. But unlike with regular flu, humans don’t have natural immunity to a virus that includes animal genes. Unfortunately, new vaccines can take months to bring into use. 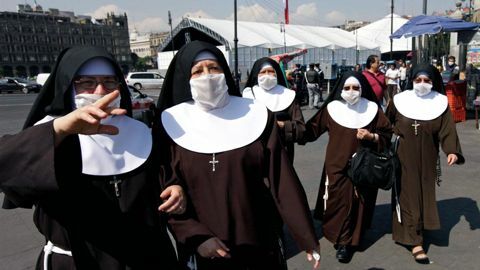 Already, more than 1,000 people have been infected in as many as 14 of Mexico’s 32 states, according to daily newspaper El Universal. 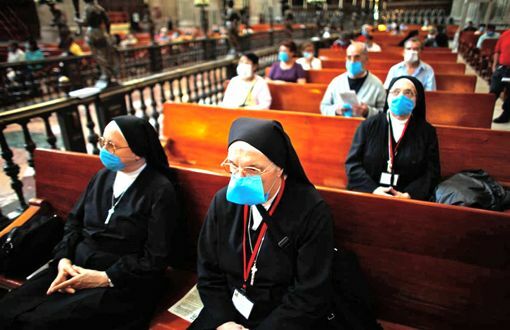 Tests show 20 people have died of the swine flu, and 48 other deaths were probably due to the same strain. 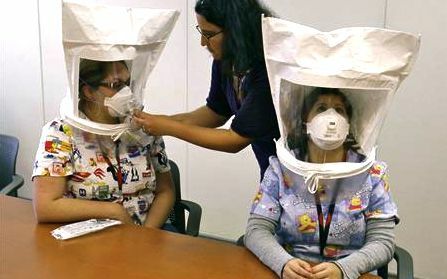 But CDC officials dismissed the idea of trying that in the United States. Experts at the WHO and the U.S. Centers for Disease Control and Prevention say the nature of this outbreak may make containment impossible, it’s too late to try to contain spread of the virus. 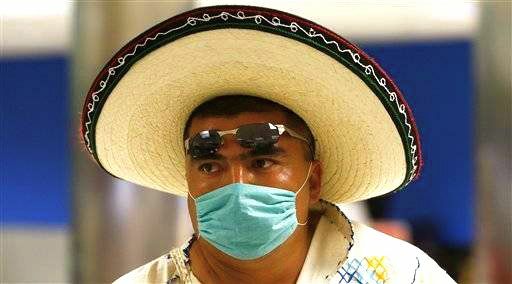 Though airports around the world were screening passengers from Mexico for symptoms of the new flu strain, saying they may quarantine passengers.